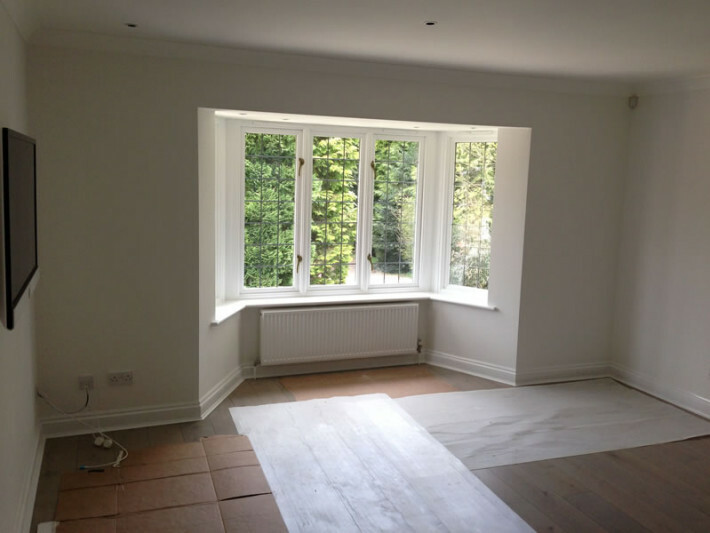 We at Anthony’s Decorating recently carried out quite a large amount of redecoration to compliment the refurbishment of this five bedroom house. To start with we emulsioned the walls of the main bedroom following the installation of an ensuite bathroom. This involved quite a lot of replastering to make good where the old wardrobes had been removed. All the woodwork was painted in Dulux undercoat followed by a Dulux top coat. 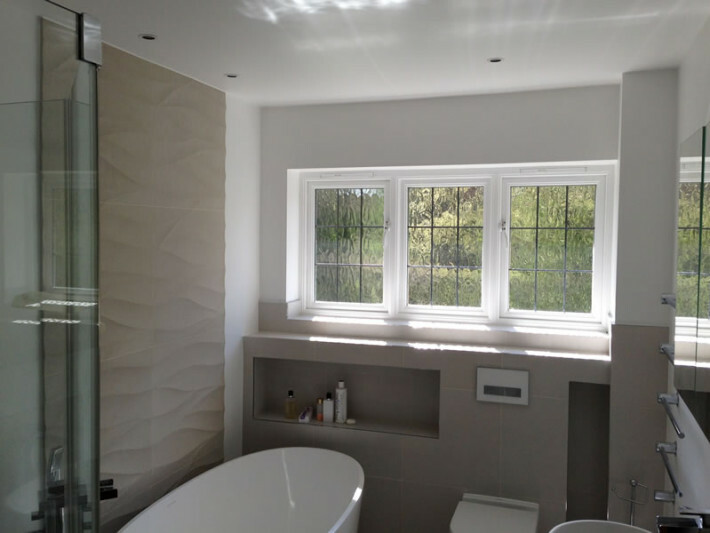 During this time the owners were having the bathroom refitted together with another ensuite. 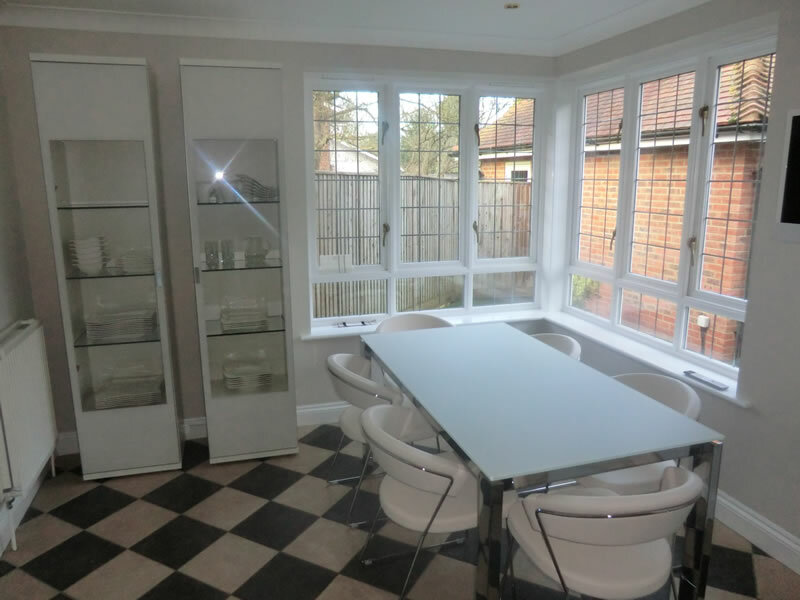 Unexpectedly the owners said they would like the kitchen redecorated, which we fitted into an already tight schedule, whilst maintaining the high standard of finish that we expect to achieve. 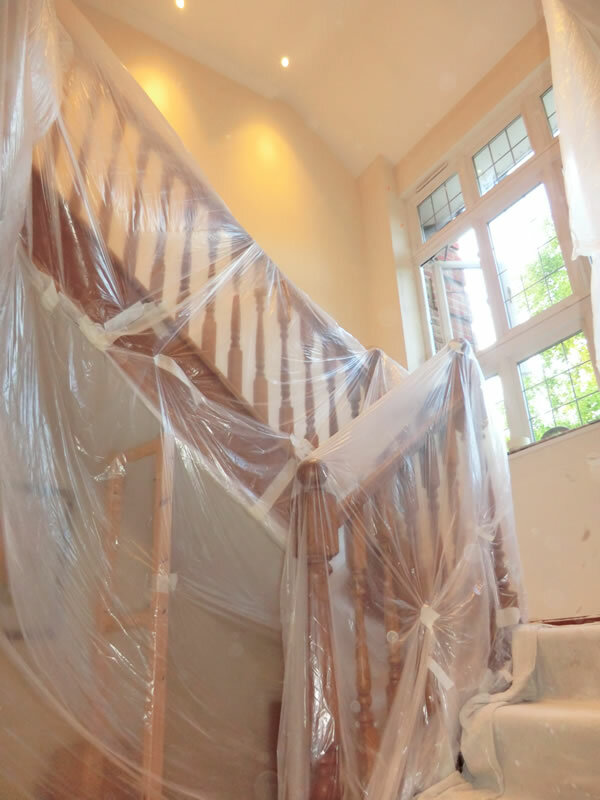 At this point our work reached its natural conclusion but we were soon called back to start the owners next project of the stairs, landing and another bedroom. 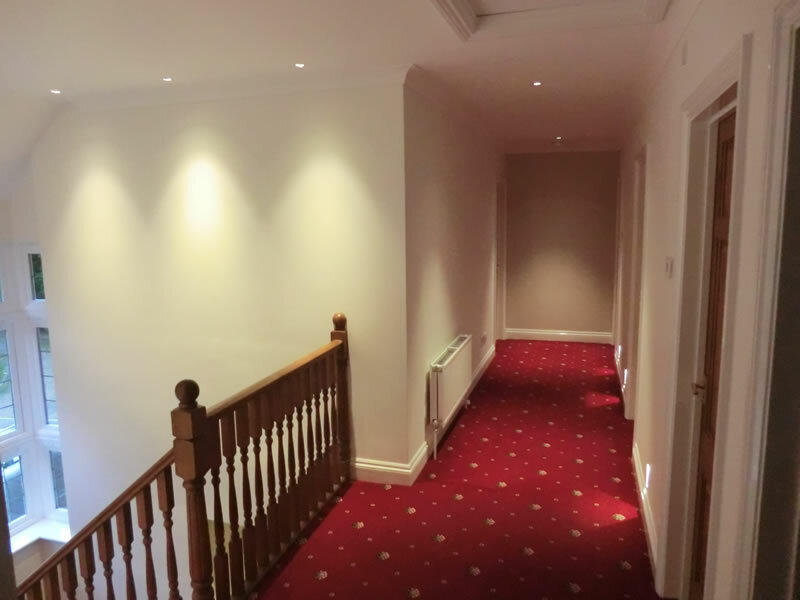 New ceiling and wall lights had been installed by the electricians, leaving a lot of bare plaster therefore we were involved in quite a lot of repair work and making good. 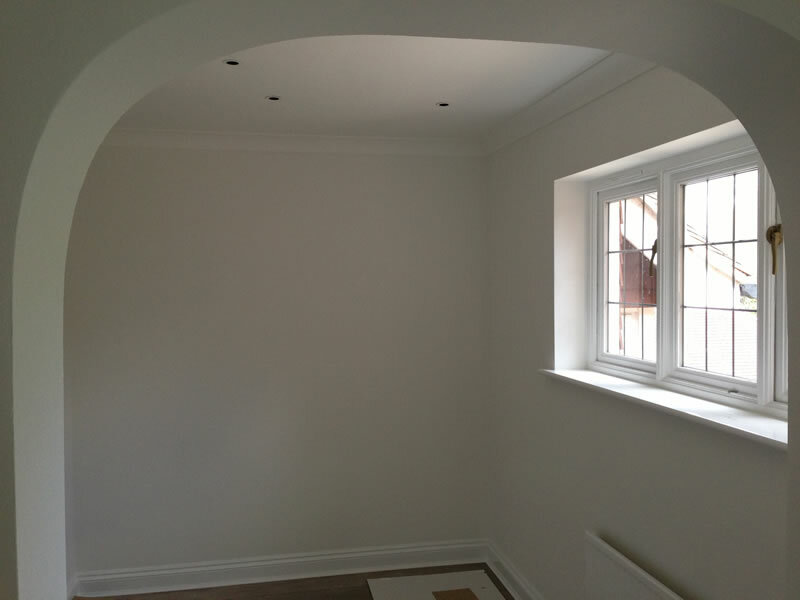 Finally we were able to finish the walls and ceiling using Dulux professional paints. 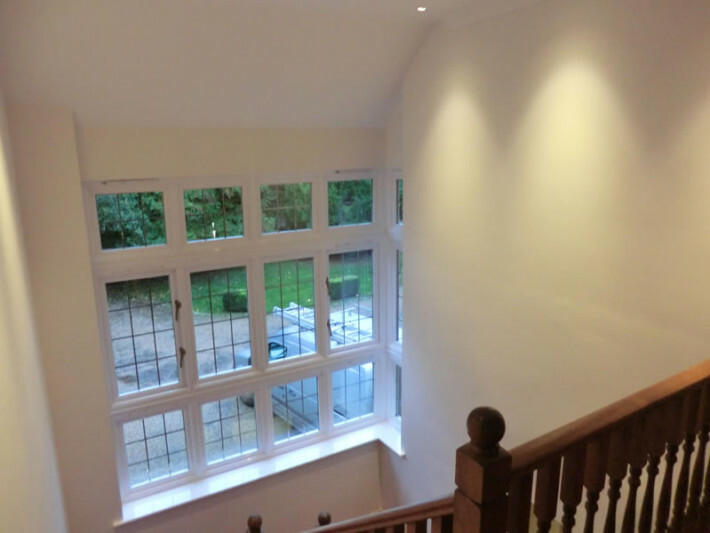 The woodwork was freshened up by undercoating and finishing again with Dulux paint. 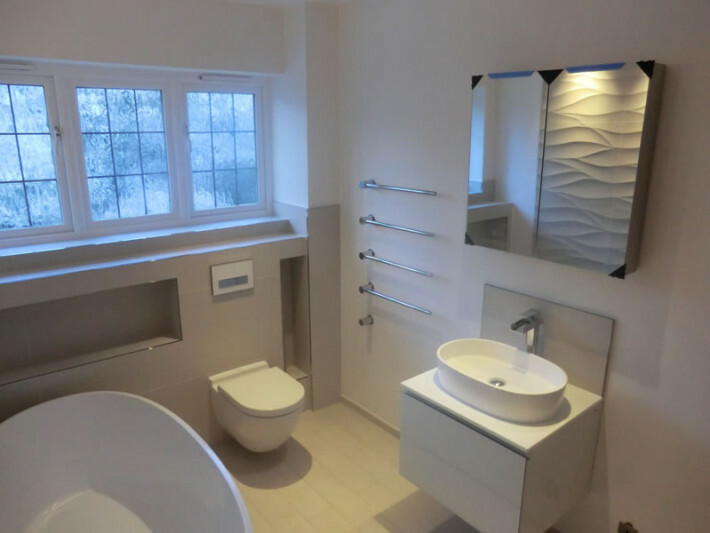 All the en-suite bathrooms were then finished in a Farrow & Ball modern emulsion, we used Dulux matt emulsion for the walls and ceiling and all the woodwork was undercoated and glossed with Dulux paints. 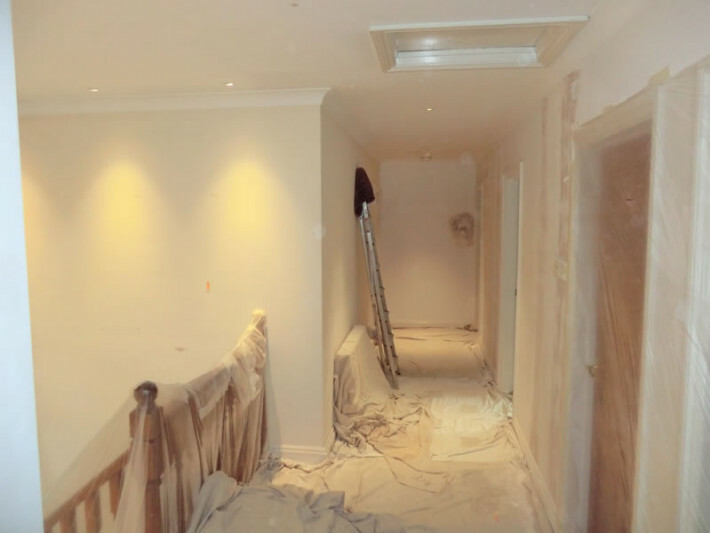 We have yet again been booked to go back at the end of the month to finish off the downstairs.